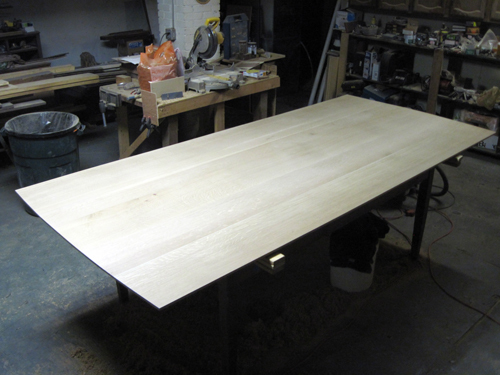 I’ve managed to make some progress on our new dining room table, so here are a few images of the table top. It’s a big one– nine feet two inches long, fifty inches wide, designed to compliment the architecture and woodwork in our dining room. 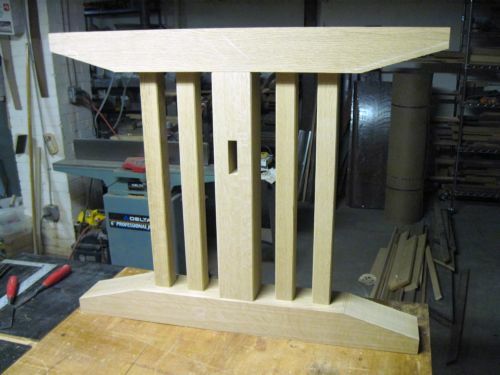 I’m currently working on the table base and finish samples. I hope to be able to make use of the black walnut stain that I made this fall. 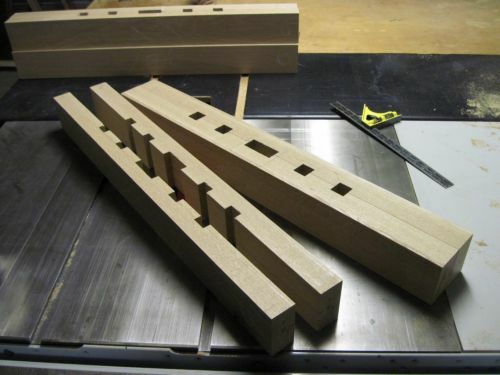 The long boards were a bit tricky to deal with, especially since three of them are about eleven inches wide. 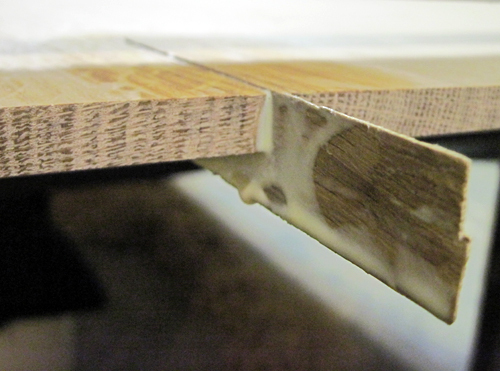 As a result, one board had a slight edge flaw that prevented a clean glue-up on the last four inches or so. I used a repair technique that I learned from a book by Tage Frid. 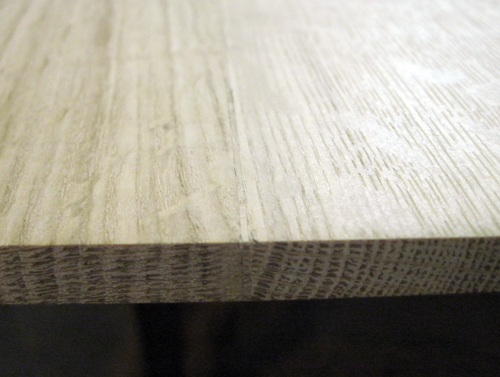 Simple and effective, although it is important to get the filler strip into place quickly– before the glue causes the wood to expand. 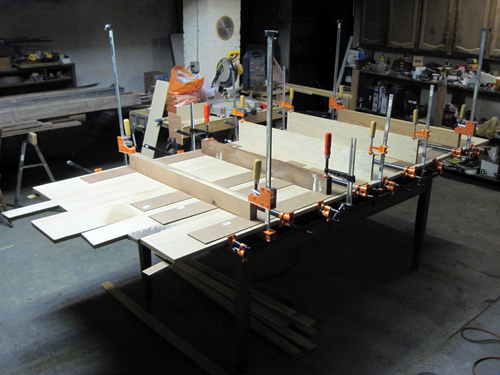 Final glue-up of the top, which is composed of seven quarter-sawn white oak boards. 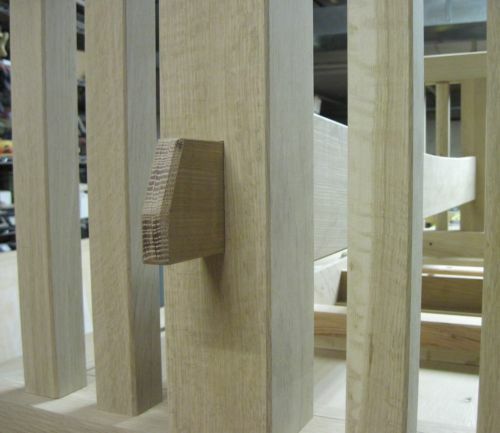 Curves cut on short ends, just one inch of deflection across the width. 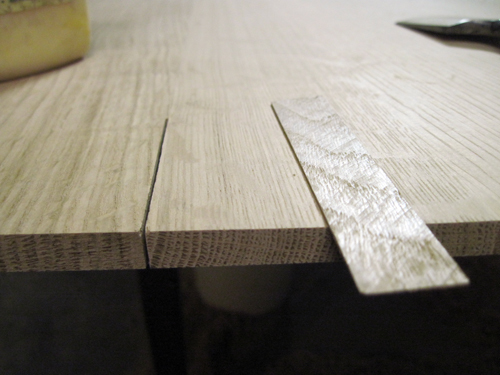 I used a Japanese saw to re-cut the imperfect part of this joint, and used a sliver of the same board to make the filler strip. Filler strip glued in place. Finished repair, trimmed and sanded. 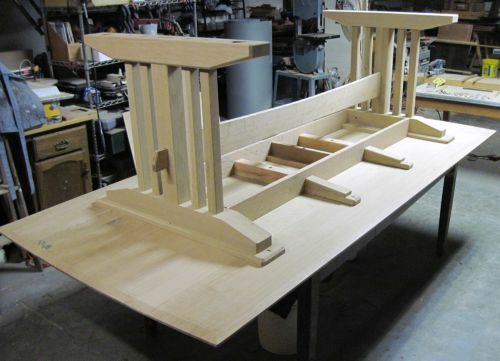 This entry was posted in custom furniture and tagged dining table, quarter-sawn oak, Tage Frid on January 9, 2011 by johnsarra.